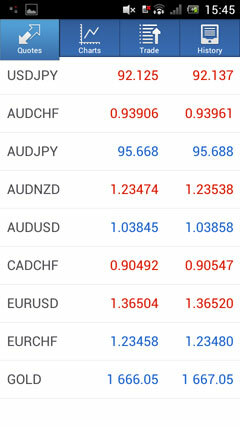 MetaTrader 4 Android is very similar to MetaTrader 4 for PC. 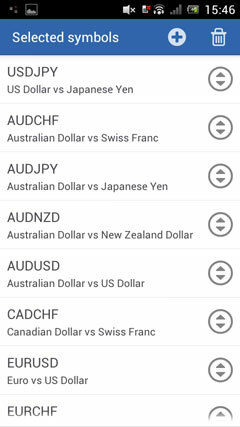 This mobile application supports most PC terminal's features (all trading functions, execution modes, as well as powerful technical analysis) except for the algorithmic trading functions as there seems to be not much call for these functions on Android OS platform yet. The application works on all smartphones and tablets and supports all screen resolutions. Terminal interfaces for smartphones and tablets differ from each other and are specifically optimized for working on these devices. 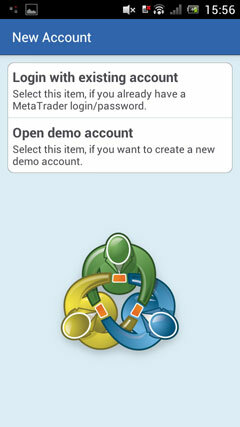 Similar to the PC terminal, users can open demo accounts right in MetaTrader 4 Android. The total number of accounts managed by the terminal is unlimited. 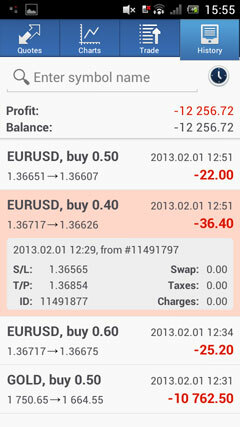 All transactions performed via the mobile terminal are identical to the ones performed via the PC terminal. 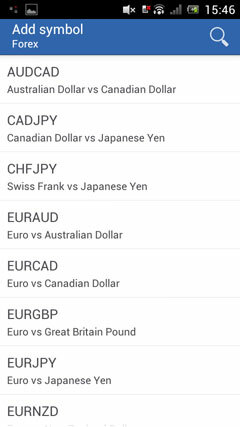 All parameters of trading operations can also be controlled using MetaTrader 4 Android. 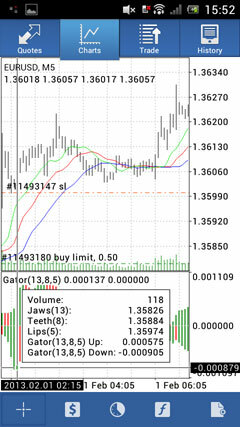 MetaTrader 4 Android allows displaying the quotes of all available symbols in charts. 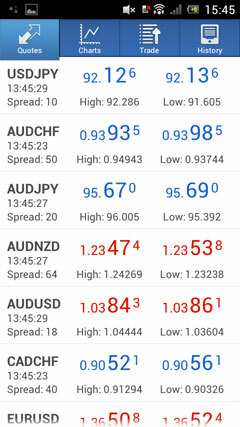 Portrait and landscape chart orientations are supported for smartphones. Users just need to rotate their device to switch between them. 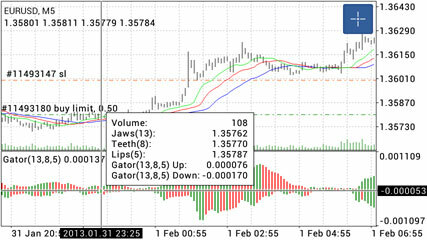 The charts are generated based on received quotes of each time frame. A separate base of quotes is used for each period. If there is data concerning М1, but there is no data on М15, it will be uploaded when referring to this chart. There are 9 available time frames - from M1 to MN1: M1, M5, M15, M30, H1, H4, D1, W1 and MN1. Zooming and scrolling are performed in a usual way. Missing history is automatically uploaded when scrolling the chart similar to uploading the data in the PC terminal.